Dermal fillers and Skinboosters, two of our most popular medical cosmetic treatments at YourGP private health practice, can help reduce deep lines and wrinkles and plump up your skin. But what’s the difference between the two treatments? And what one should you choose? Before we help you pick the right cosmetic treatment for you, we’re going to explain what dermal fillers and Skinboosters are, and let you into the secret of how they can make your skin look younger and more radiant than ever. As we get older, our skin loses fat, collagen and elasticity, which normally offer facial volume and support. Inevitably, the skin starts to sag, and we begin to see the formation of lines, wrinkles and folds. Dermal fillers, which are a natural, biodegradable gel, instantly fill out lines and wrinkles in the skin and restore facial volume, leaving a smooth, natural look and feel. Restylane Skinboosters, meanwhile, improve your skin’s quality by boosting hydration levels deep inside the skin and increasing its smoothness, elasticity and firmness. They help increase hydration and skin quality, and visible improvements to the skin can be seen after an initial course of treatments, which involves micro-injections of a soft, gel-like substance called hyaluronic acid into the skin. 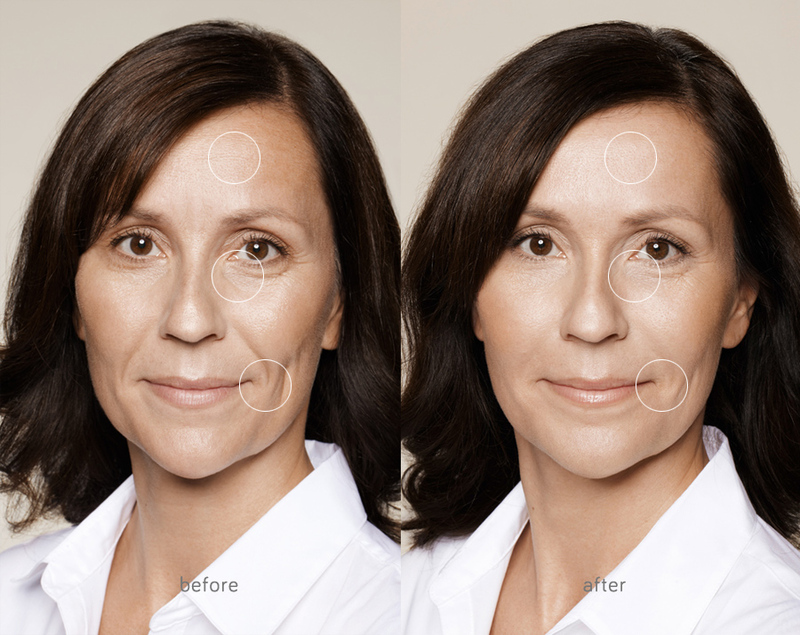 Are there any side effects of dermal fillers or Skinboosters? Side effects of dermal fillers and Skinboosters are rare, but they can cause minor problems such as redness and swelling. Some mild bruising may also develop and can last for a few days. So… should I choose dermal fillers or Skinboosters? Dermal fillers and Skinboosters can both improve the quality of your skin, get rid of wrinkles and help you look younger – but they work differently in order to do so. Dermal fillers are designed to smooth away wrinkles and add volume that’s been lost through natural ageing, while Skinboosters improve your skin’s overall quality by boosting hydration levels deep inside the skin and increasing its smoothness, elasticity and firmness. But you might not actually need to choose at all – because Skinboosters can be used as part of an overall treatment programme with other treatments like dermal fillers. And for a limited time only at YourGP, your skin can look more natural and more radiant for less – because we’re offering 15% off dermal fillers and 20% off Skinboosters with Dr Clara Russell and Dr Jane Sweeney. Clara has a strong interest in cosmetic dermatology having taken further postgraduate study and practical training in London, and Jane, one of our associate GPs, specialises in female health issues, gynaecology and cosmetic therapies. To arrange an appointment and take advantage of our special offer, use our online booking form, email our reception team at reception@your.gp or call us on 0131 225 5656. If you want to find out more about dermal fillers or Skinboosters, leave a comment below, or get in touch on Facebook, Twitter or LinkedIn.